Financially successful orthodontic offices have learned the proper balance between offering high-quality patient care, effective marketing to attract new patients, and operating the practice with maximum efficiency. Orthodontists know the impact that increased operating expenses have on a practice's ability to run, staff and supply an office. Doctors face this challenge daily, and fortunately most practices flourish over the years. 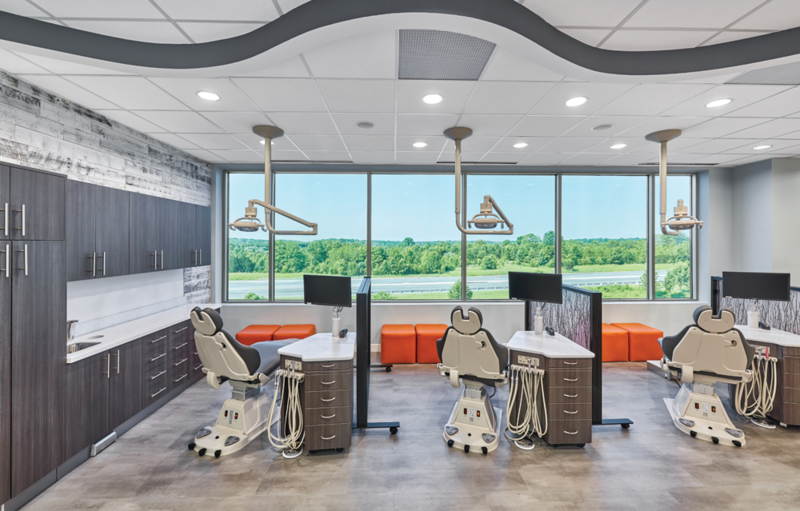 Those who succeeded have literally built the successful practice from the ground up—especially considering how office design and appearance affects the ability to provide high-quality care, supports attracting new patients and holds down operating expenses. Strategizing the ways to manage operating expenses should start long before the office is built. Regardless of building a new "greenfield" construction or renovating an existing structure, the way the office is laid out affects the future efficiency of the office for many years. Whether an office is compact because of regional real estate values as in Manhattan, Toronto or San Francisco, or much larger multi-specialty practices in areas where real estate values are not as high, both have a common financial objective: maintain the lowest operating cost while maximizing utilization. Using this as a gauge during early facility planning can reap financial benefits for years to come. Use architects or designers who have experience in dental office—and most important—orthodontic office design. The key difference in orthodontic office design is the volume of patients seen daily. Many practices may see up to 150 patients a day. This flow of patients puts strain on the facility, equipment and team. Having the office designed in a manner that facilitates this volume will result in less stress on the doctor and team to manage. Things to consider in office planning starts with an exterior design that best represents your brand. After all, this will be the first thing a new patient will experience when arriving. This includes signage, parking and the entrance to the office. Does the outside reflect the same feel as the interior of the office? As we all know, first impressions are important and the exterior appearance is part of that. Is the reception area welcoming and large enough to accommodate the queue of patients to be seen? Of course, the team members at the front desk are important in setting first impressions, but making the waiting area comfortable and entertaining will help set the right tone. There are many creative ideas to occupy the waiting patient and any accompanying persons. One of the more recent trends in waiting areas are cellphone charging stations. Why not top off your charge before seeing doctor? If your facility is large enough to have dedicated consultation room(s), make sure it is sized adequately for the patient, guests and the doctor. Having a comfortable exam chair in the room will help facilitate the consultation and reduce patient anxiety. Details of the treatment plan can be discussed with decision makers without distractions—and quietly. If your office is not large enough to allow for a dedicated space, then designate a specific treatment bay as a consultation spot. In this case, be sure it is in a location where the doctor can speak privately and that the bay has equipment necessary to display images to discuss treatment plans. The treatment area is probably the most important location to promote office efficiency. In lean manufacturing terms, this is the most "value-added" area of the practice. The operatory and adjacent areas need to be laid out to minimize wasted movement by the doctor and team. To do this, space treatment chairs approximately seven feet apart with privacy screens between locations. Chair-side delivery carts should be sufficiently stocked with treatment items to handle the daily patient load. If this is not possible, then make sure supply inventory is stored nearby and organized to minimize the need to search for items. Stools used by the doctor and staff should be ergonomic to reduce fatigue and prevent injury. Often overlooked, the comfort and stability of doctor and assistant seating has become an important topic when selecting equipment for the operatory. Be sure to purchase equipment and cabinets that provide many years of trouble-free service. Unnecessary equipment downtime can be disruptive and costly. When evaluating equipment, the doctor needs to consider the long-term product reliability, post-sales support and overall performance of the product to be purchased. A recent feature being designed into the treatment area is a discrete location for the doctor to access their computer, speak with a staff member or handle any HIPAA-related documentation. Sometimes referred as a "perch" it serves as a satellite of their primary office and eliminates the need to frequently go to their primary office to handle routine activities. Nearby the operatory area should be the sterilization area. Like the sundry supply locations, it is important to have the sterile instrument kits readily accessible from the treatment area. The sterilization area needs to be sized adequately to handle the maximum patient load expected for the office. 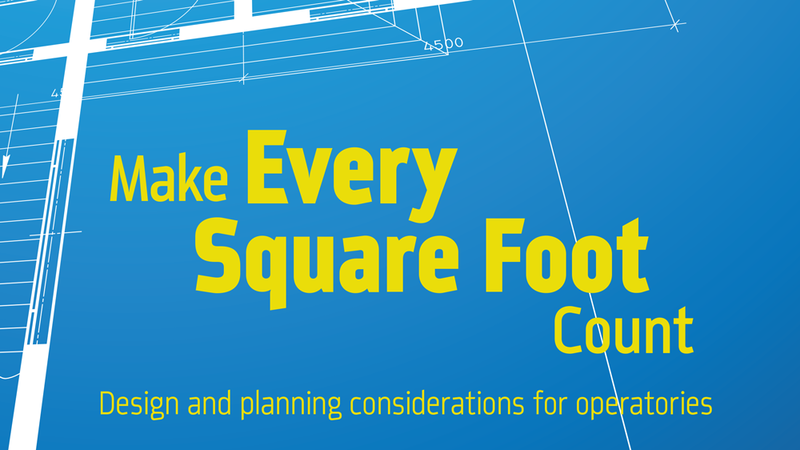 Be sure to consider the future when allocating the size of the room when planning the building. If undersized in the beginning, it could become a bottleneck in the future once the practice has established the expected patient load. Maintain easy access to the room and a pass-through cupboard to store sterile instrument trays for direct access from the treatment area. Having a pass-through will save many steps and time by the staff during the day. As an aside, we have seen more orthodontists partnering with either a pediatric dentist and/or oral surgeons in a facility. This helps each of the specialists to share some of the office's operating expenses, thus reducing the overall cost to run each part of the practice. However, having a multidiscipline practice under one roof can present challenges in office layout and equipment selections. If this is being considered it is best that the initial design of the facility is created with that goal in mind. Again, proper initial design will help prevent issues in the future. Opening a new office or satellite is an exciting and daunting opportunity. It represents the culmination of the many years of education, training and preparation the doctor has made in his or her career. A good team of advisers and vendors can help make building an office less challenging through proper planning, designing and equipping. This way the doctors can be assured their investment will reward them for many years into the future. 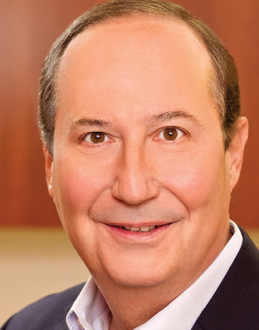 Adrian LaTrace is CEO of Boyd Industries and brings more than 25 years of leadership experience in companies ranging from startups to large public corporations serving the health care, renewable energy and aerospace industries. His expertise in developing high-performance organizations in world-class global operations has helped Boyd to build on past successes and position the company for the future as a market leader in the dental equipment industry. Adrian earned his MBA from the Kellogg School of Management at Northwestern University and has a bachelor's in chemistry from The Citadel.